It's been proven that Yahoo could drop their own ads in favor of Google's and make a few billion dollars. That would drive any company's stock price higher. The state of ad networks is so heavily dominated by Google that is is inconceivable that you could compete without very deep pockets, like MSN/AdCenter (Microsoft). Good luck to the smaller players! Interesting point about video ads. If you are an AdSense publisher, then you have probably noticed Google's push towards video ads, asking folks to see if they have the space on their sites to host them. I am guessing their rates (click thrus, conversions, etc) are excellent if things are moving so quickly. Ultimately MIVA will make more money from the deal as Google must pay more than Yahoo. However this doesn't hide the fact that MIVA content network is very poor indeed. Traffic levels has dropped significantly in recent months so unless MIVA get more quality traffic and fast then its difficult to see them mixing it with the big boys. 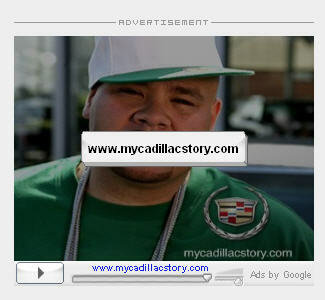 Wow - for a minute there I thought you were running ads for Cadillac. Your first point about increasing the efficiency of your AdWords account rather then chasing the lower tiers is so true. I just wanted to echo what Chris said. We've chased lower-tier providers for a long time now, but I've found them all to have either virtually no traffic or rife with clickfraud -- or both. Lower-tier ad networks are only good for one thing -Arbitrage that funnels spaz clickers & less experienced internet users from the "bad areas" that got them to the 3rd tier networks, back to quality sites. Unless one has good knowledge of automating those processes, focusing on value creation through Adwords is a far better way to spend usually-limited time. I don't know that just because Miva has a lower average CPC that they don't have very much value. Google has market share. More market share = more advertisers = higher CPC. I'm not saying that the lower tiers have the same value at a lower cost than Google (I don't have much experience with them). I'm only stating that Miva switching to Google doesn't mean they have less value per visitor, only a lower CPC. Furthermore, if these 2nd tier search engines do have lower value, then they are diluting Google's value by using their ads. If they are filled with click fraud and junk traffic, then Google is now getting that garbage traffic in addition to their own click fraud problems. Albeit, all of the 2nd tier networks combined would still probably be a drop in the bucket when compared to Google. Hi Aaron Wall, I must say that I honestly feel that your total logic has almost been based around the day to day irrationality of the market. You wrote: " The market responded by bidding Miva's stock from $3.40 up to $4 a share. What does that mean to marketers?" But hang on .......When MAMA (following an announced Video Link to their site) went from the low $2's up to $8.60 odd, so why wouldn't that mean something to marketers too? Or, another, in Onstream Media Corp., (which provides live and on-demand digital media services), a Co that surged 72% a day after it announced it's new platform with on-demand video capabilities? Video is BIG as you have told us. Right? So both the above should surely mean something to marketers, based on your MIVA/YHOO/GOOG thoughts. And ..."If a small ad network makes more profit redistributing the ads of a large player than selling ads directly they probably don't have much value in their advertising product." Tell that to Newscorp who will see some $900M (in time) for their Google/myspace search/Ads deal. And in the case (your mention) of Looksmart, haven't they guided for increased revenues of 26% - 28% for the Q4 period, 2006? Why would marketers bother and shouldn't they simply stick with Google, according to your thoughts? Marketers will follow audiences and some marketers will (& do) recieve much better results when targetting specific (or, niche type) users, that they find are more receptive to their particular product or, service, many may feel. Big (& the 'hit and miss', one size fits all) is not necessarily always best, as has so often been proven. I agree that the stock market may overreact to news, or even react to non news, but the trend of Google monetizing better than the competition is a trend that is hard not to notice. 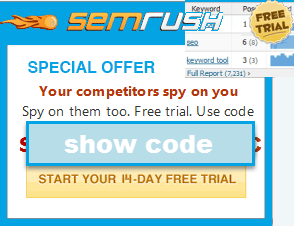 Have you tried buying Looksmart traffic? When I did I was amazed at the (lack of) traffic quality. Your MySpace statement sorta proves my point more than disagrees with the point of my post. MySpace is a platform that can have ads sold against it, it is not a small ad network provider. And the Google ad deal on MySpace was for more than what many of the second tier pay per click engines are worth (roughly 8 times what Looksmart or Miva are capitalized at right now).